Okay – I have been a long time updating on this website as per my last post, but now I am back! I thought it would be good to promote a great book that I read before I gave my life to Christ that was written by CS Lewis. It is still one of my favourite books that I’ve read a few times since. 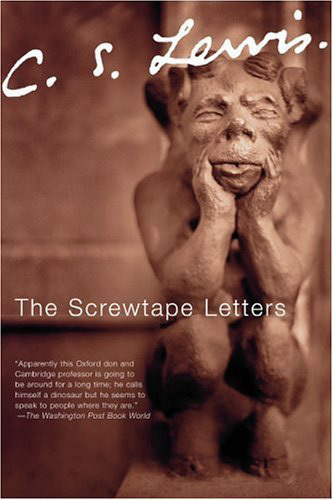 The Screwtape Letters is a rare type of Christian book in that it isn’t a study of the bible or a “self-help” book – it is a novel. And yet it is a novel that holds so much truth, and is so clear in its message. The book is made up of a series of letters from a senior demon who is called Screwtape to his nephew Wormwood. Wormwood is a Junior Tempter who has the aim of securing the damnation of man known only as “the Patient”.He does this through various methods such as temptation, undermining God, undermining the Church, and various other methods.